Flirtatious. Vibrant. Funny. 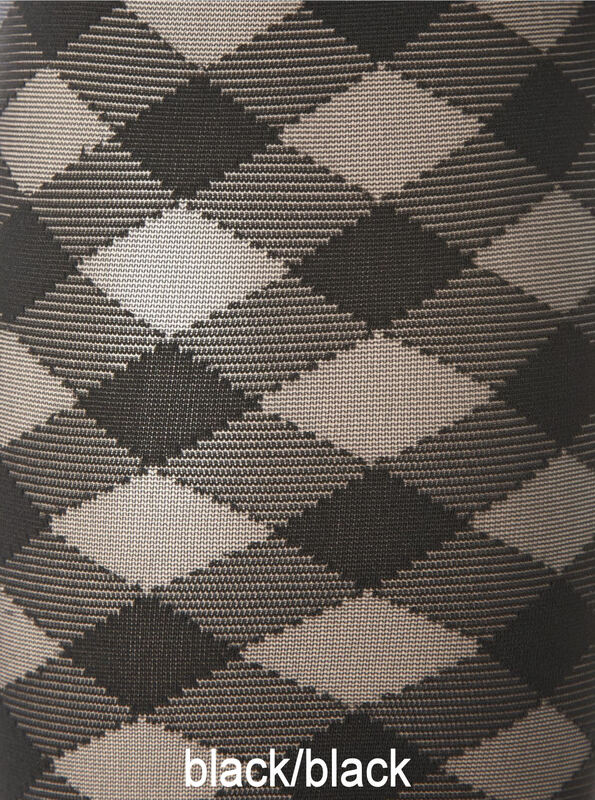 Tongue-in-cheek, these 20 den tights are a statement: don't take life too seriously. The pattern of wide stripes meeting to form large diamonds particularly comes into its own in the latest trend colours. Material : 59% polyamid, 31% polyester, 10% elastane.